PLEASE NOTE: TRENDY ALPHABET ART WILL BE ON HOLIDAY FROM 6th MAY UNTIL 17th MAY. ANY ORDERS PLACED BETWEEN THESE DATES WILL BE DISPATCHED W/C 20th MAY. Looking for a creative, one of a kind, personalised gift? 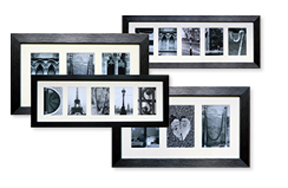 Choose from a selection of unique individual photo letters that spell a name or word, framed and ready to hang. Our pictures are photographs of everyday objects that resemble letters of the alphabet and make a great gift for yourself, a special occasion or the perfect gift for the person who has everything! Simply type a name or word into the box above and press ‘Go!’. If you would like to change a letter, click on it to see many different options. Once you have chosen your letters, it’s time to choose your frame. Happy with your order? Checkout and pay using our simple process and we will aim to dispatch your frame within 3-5 working days. 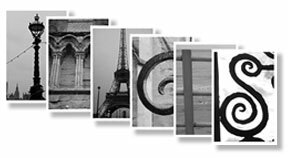 Our photos can be purchased framed or as individual prints. Please click on ‘View’ to browse our selection. To see some of our examples, please click the ‘View’ button below.